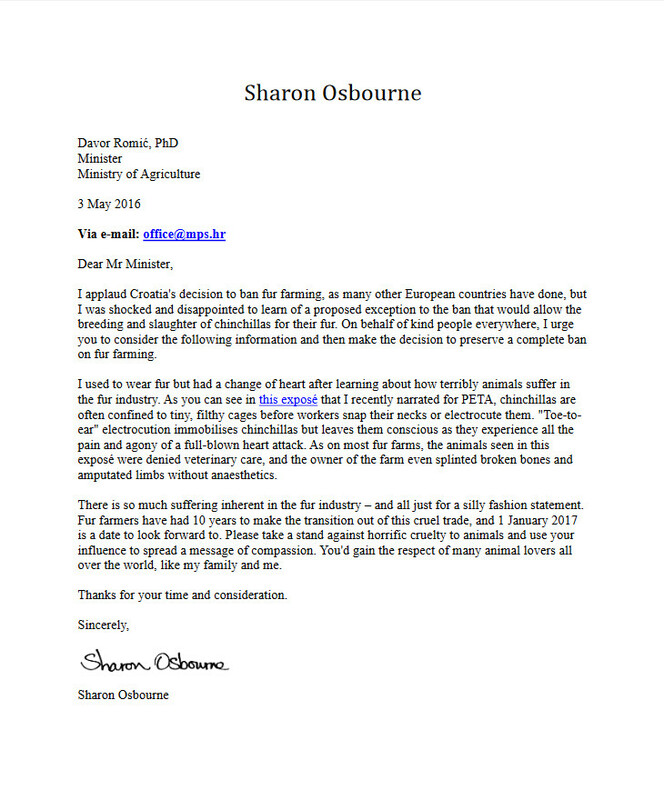 05/03/16 Sharon Osbourne writes to minister Romic: Protect chinchillas! The information to consider is rather obvious - because of physical and mental suffering, insufficient number of inspectors for monitoring of chinchilla farms, as well as an ethical catastrophe of killing innocent creatures for absolutely unnecessary luxury, it is impossible accomplish even the minimum amount of animal welfare in breeding animals for fur. 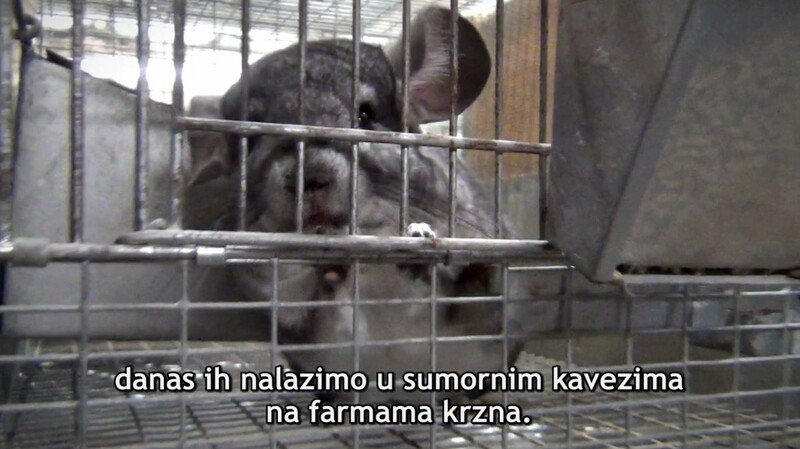 Animal Protection Act with a law provision for ban on breeding animals for fur came to force in Croatia in 2007. The ban was supported by more than 73% of the citizens, with a 10 year transitional period for chinchilla breeders. By the end of the transitional period, there was only one fifth of all breeders left; the ban came to force in countries like UK, Austria, Slovenia, Macedonia and many others. Good news are also coming from the fashion industry in which many of the famous brands like Armani, Hugo Boss, Tommy Hilfiger, Calvin Klein and Stella McCarthey stopped using animal fur. Because of ethical, ecological and many other reasons, Sharon Osbourne kindly concludes her letter to minister Romic, asking him to take a stand against "horrific cruelty to animals" and use his influence to spread the message of compassion. Animal Friends believe that minister Romić won't sign a death sentence to the innocent, already protected animals, but rather make a decision towards the betterment of the Animal Protection Act. You can read the entire letter from Sharon Osbourne to minister Romic and find a petition for a better law on the website www.prijatelji-zivotinja.hr.